A HARPG breed who live in the desert lands. A light riding horse, Maarlos horses have excellent stamina and speed and are extremely hardy horses. Maarlos are a closed breed and are owned by renneka. The desert sands swirl around your feet as you walk towards the import building. 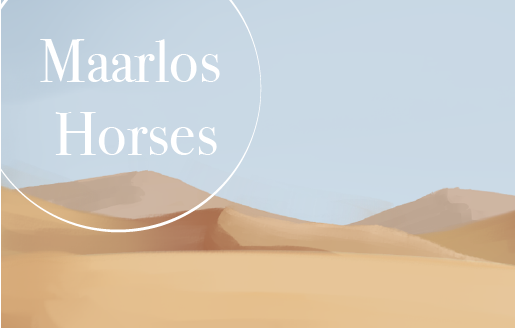 Here you will find Maarlos horses, a desert horse born and bred. If you take one home, will you choose to train and show them or enter their desert world? The Maarlos (pronounced mar - lows) horses seem to have somehow inherited the coat patterns that are similar to those of zebra and antelope, producing horses with unique face markings. 1st Jan - Happy New Year everyone! Imports and Registry have been updated. More imports will be coming through! They brought exotic horses and animals from the ships with them to the desert. A sickness came from these animals, affecting only the horses, wiping out a huge number of the villager's horses. Fortunately for the desperate villagers, it was discovered that there were a native breed of horses living scarcely around the dunes. The people had mistaken them for strange antelope, as their mysterious patterning was that of the onyx and zebra that roamed around the desert. With the surviving horses, the people rounded up a good number of the strange horses and set about taming them. It was discovered these strange horses were even more suited to the desert life and the people began to breed hem in earnest. 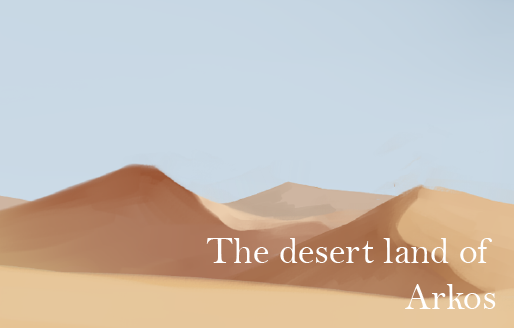 The villagers named the desert Arkos, the name of the first founding stallion of the desert herds.